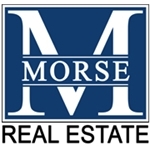 Morse Real Estate is licensed in Iowa and Nebraska and was established in 2011 by Mike Morse. After selling real estate for over 20 years with other area companies, Mike began a new brokerage from the wealth of knowledge and strong community presence built throughout his extensive career. As a multi-million dollar producer for years, his dedication to providing the best possible service to each and every client that chooses Morse Real Estate is evident. Mike has a rich history of participation in hundreds of residential and commercial transactions with an extensive list of happy clients. Experienced agents are Morse Real Estates' greatest strength with education and service as core values of the company. Our agents are deemed 'Your Neighborhood Experts' for being highly local, market savvy individuals. Mike Morse is native to the Metro area and is a second generation realtor. Mike has been selling real estate for over 26 years with hundreds of existing residential, new residential, multi-family, acreage, agricultural and commercial properties sold. Because of his longevity in the local real estate market, Mike is an expert in the Metro Area and is keenly aware of local market values. Mike prides himself in providing his clients with honest and accurate advice when it comes to listing and selling their home. He will meet with you on the initial listing appointment to discuss the right "market" price for your home and explain the Morse Real Estates marketing program. Throughout the selling process, Mike and the Morse Real Estate professionals will remain in close contact to keep you abreast of updates and the progress of the sale of your property.